The step is likely to worsen the denial of ration to the poor and add to the woes of cardholders. On February 5, the Jharkhand government made it mandatory to link Aadhaar with ration cards in order for a household to receive its ration under the public distribution system (PDS). Under the National Food Security Act (NFSA), every eligible household is entitled to 5 kgs of grain for each member registered on the card every month at nominal prices (35 kgs per household for Antyodaya cardholders). According to official figures on the state’s food department website, the Aadhaar of 68.8 lakh out of 2.62 crore registered in the PDS are yet to be linked with family ration cards. Going by the experience of the last few years, the government’s decision to make Aadhaar linkage mandatory could lead to widespread denial of grain entitlements. In February 2017, the Central government made Aadhaar-seeding and Aadhaar-based biometric authentication (ABBA) mandatory for availing ration in PDS. 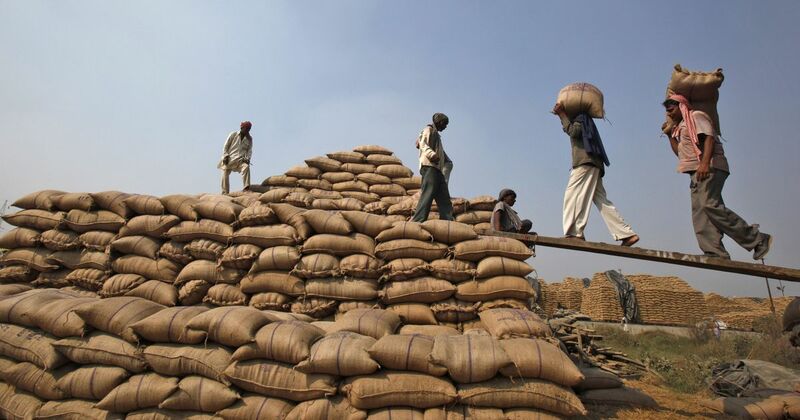 The notification – and similar ones after – states that even if the Aadhaar of only one member of a household is linked with their ration card, the family must receive the total quantity of grain entitled to it. ABBA has been compulsory in most Jharkhand ration shops for the last two years. 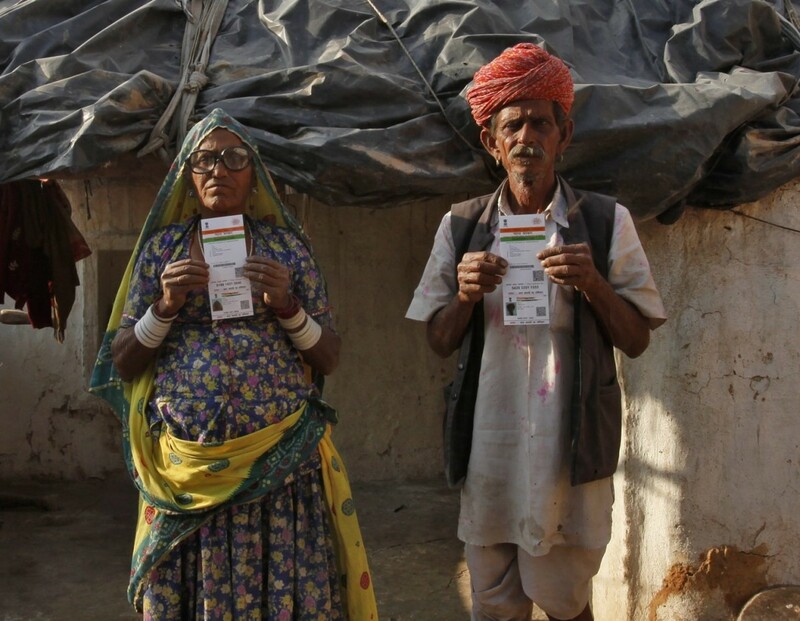 It is also fairly common for ration dealers to deny cardholders grain entitlements of their family members whose Aadhaar are not linked with the ration card. There is little doubt then that this exclusion will further worsen after the state government’s decision. ABBA was introduced in PDS allegedly to reduce corruption. Ironically, however, it does not address the issue of quantity fraud that is rampant in the state. Ration dealers give less ration than the amount cardholders are entitled to but register the full quantity (through ABBA). Seeding of Aadhaar with ration cards may help in checking identity fraud – removing duplicate and fictitious ration cards. But the scale of such fraud is miniscule. In Jharkhand, lakhs of cardholders are regularly denied their grain entitlements due to biometric failures. A survey in eight districts of the state in June 2017 found exclusion to be 37% in ration shops that used ABBA as compared to 14% in non-ABBA ones. the dealer does not siphon off her grain. If even one of these conditions is not met, the ration is denied. At least nine of the 19 persons who allegedly died of starvation in the state in the last two years were denied their grain entitlements because of Aadhaar-related issues. Jharkhand government had issued a similar instruction in March 2017 that led to mass cancellation of ration cards not linked with Aadhaar. To meet the government’s target of seeding of 100% ration cards with Aadhaar, local functionaries deleted cards that were not linked with Aadhaar of at least one family member. One of the victims of this decision was Simdega’s 11-year old Santoshi Kumari, who died of hunger in September 2017. In the same year, the Jharkhand government claimed that 11.64 lakh bogus and duplicate cards were removed with the help of Aadhaar. The government has revised the figure several times since then, but has refused to disclose the list of cancelled cards. It has yet to provide any proof of the cancelled cards being bogus or duplicate. The absence of a functional grievance redress mechanism adds to the woes of cardholders. Jharkhand government has nominated district grievance redress officers (as mandated in the NFSA implemented in the state in 2015 onward). But it is not easy for people to travel from villages to complain directly to these officials. Even if they convey their issues through the block development officer, one hardly sees effective redressal of the complaints. An example is the recent starvation death of Dumka’s 45-year old Kaleshwar Soren. His family’s ration card was cancelled in 2016 as it was not linked with Aadhaar. According to his neighbours, he could not submit his Aadhaar to the dealer as he had misplaced it. Ration cards of 27 more families of his village were also cancelled for the same reason. It took a year of complaining and public action before 26 families of the village were issued new cards. And even after all the outrage, two families including Kaleshwar’s were not issued ration cards as on November 16, 2018 (when a fact-finding team of the Right to Food Campaign conducted an inquiry into Kaleshwar’s death). Departmental officials claim that the current electronic Management of Information System (MIS) does not allow them to resume cancelled cards. Families whose ration cards get cancelled need to apply afresh for a new card. Needless to say, the onus of getting their grain entitlements back lies on them and not on the government. Following reports of grain entitlements being denied due to Aadhaar, the food ministry, in October 2017, asked states to establish exemption mechanisms; Jharkhand, in turn, instructed ration dealers to maintain exemption registers. They were to be used to distribute grain to cardholders who were unable to authenticate in the PoS machine or whose Aadhaar is yet to be seeded. But this practice is virtually non-existent. People continue to be denied ration due to ABBA failures. 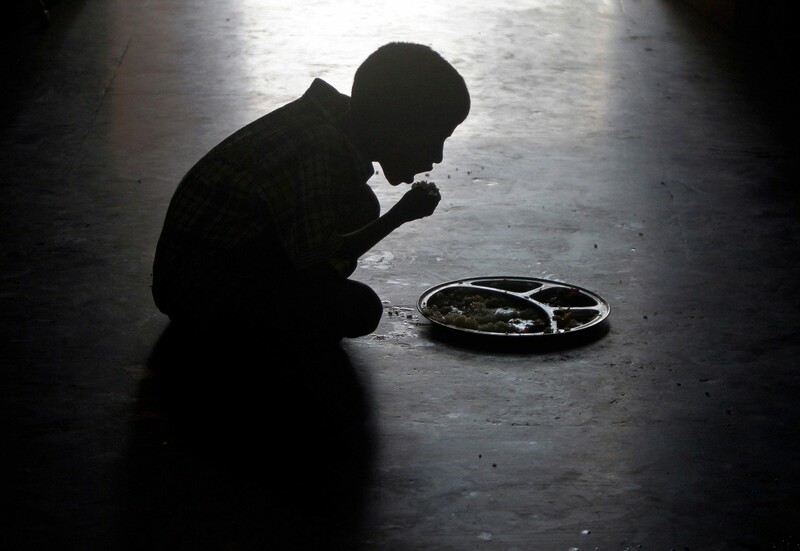 There is little doubt that the Jharkhand government’s latest decision may lead to the exclusion of a staggering number of people from their families’ ration cards. As a result, the monthly entitlement of such households will reduce. At this moment, this move of the government has the blessings of the Supreme Court. Overlooking evidence of widespread exclusion in welfare programmes due to Aadhaar, the court upheld Section 7 of the Aadhaar Act that makes Aadhaar compulsory for availing government subsidies. While the apex court’s order needs to be challenged afresh, the legislature can always undo the wrongs by delinking Aadhaar from welfare programmes. But rather than learning from its mistakes, the Bharatiya Janata Party governments at the state and Centre continue to be oblivious to the havoc wreaked by Aadhaar on the poor. The past four years in Jharkhand and the country have seen no progress in the matter of food security but only “reforms” (such as Aadhaar) that have made accessing even the existing entitlements more difficult. Will these reforms come back to haunt the BJP in the forthcoming elections?